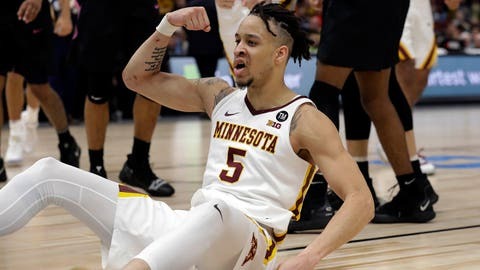 Minnesota Gophers junior guard Amir Coffey announced Wednesday night he’s declared for the 2019 NBA draft. The news is correct. I will be entering the 2019 NBA Draft. The timing felt right after our successful season. I’d like to thank my family, the fans and all my supporters. In his junior season with Minnesota, Coffey averaged 16.6 points, 3.6 rebounds and 3.2 assists per game and helped the program to its first NCAA tournament win since 2013. However, Coffey returning to Minnesota for his senior season in 2019-20 is not out of the question. New NCAA rules released last August allow non-senior players to go through the draft process without losing eligibility. Players who are invited to the NBA combine that are not selected in the draft can now return to school the following season. The NBA draft will be held June 20 in Brooklyn.